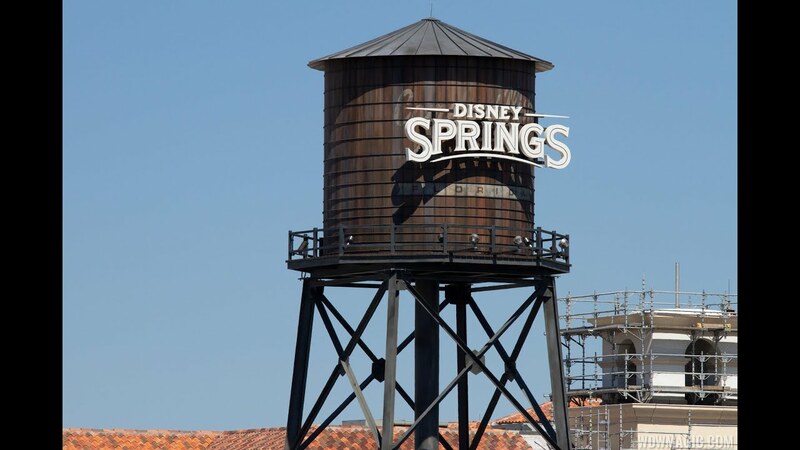 May 26, 2016 in "Disney Springs"
Disney Springs opened its brand new bus terminal today, bringing a significant improvement for guests arriving by Walt Disney World transportation. Not only is there a new bus terminal, there are now dedicated lanes along Buena Vista Drive for Disney busses. The bus lanes are in a central area, separated from other traffic. Located alongside the Town Center, the bus loop is much like the one found at the Magic Kingdom. It is centrally located between the Orange and Lime Garages, placing arriving guests in the center of Disney Springs. Its large and spacious, with plenty of stops for current and future resorts. The walkways are wide, and each bus stop is covered. Unlike at the parks, there is a separate bus drop off and pickup area. Drop off is directly in-front of the main entrance in the Town Center. Busses quickly stop, unload guests, and then move to the pickup areas. Arriving guests are greeted with a beautiful new main entrance to the property, with a short walk through to the center of Town Center. This is not the only entrance however, guests can choose to walk along the path to two other entrances into Town center, one near to Planet Hollywood and one near closer to Zara. Also new today is the opening of the new wheelchair and stroller rental location, Sundries. It is located near to the Orange Garage, just behind the Coca Cola store. This is now the only location for rentals at Disney Springs. The store also sells baby care items. The old Marketplace stop will soon be used for charter busses, and will no longer be used by Walt Disney World transport.